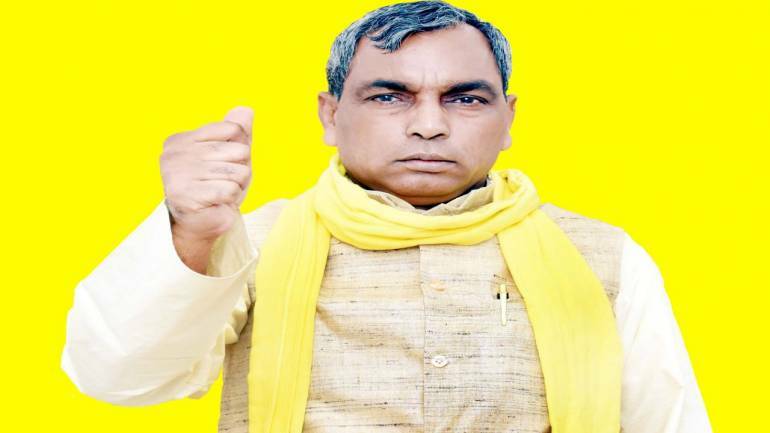 Party chief and state minister Om Prakash Rajbhar said his party has decided to field its candidates as the seat-sharing talks with the BJP remained unsuccessful. The Suheldev Bharatiya Samaj Party (SBSP), an ally of the ruling BJP in Uttar Pradesh, on Tuesday announced it will go alone in the ongoing Lok Sabha polls in the state and released a list of 39 candidates. "The BJP asked me to contest the Ghosi seat on the BJP symbol but I declined," the Uttar Pradesh minister for backward class welfare and divyangjan empowerment said. He said his party will contest from Varanasi, Lucknow and Gorakhpur, the seats from where the BJP has fielded Prime Minister Narendra Modi, Home minister Rajnath Singh and Uttar Pradesh Chief Minister Yogi Adityanath respectively. Rajbhar said he was ready to resign from the cabinet but his resignation was not being accepted. The SBSP had won four seats in the 2017 Uttar Pradesh Assembly polls.